"This album is the opposite of what I wanted to make"
With a new baby, a new season of hosting duties for Netflix's Hip-Hop Evolution and his new album, A Short Story About a War, set to drop this week, the month of October has proved to be fruitful for Shad. Despite the five years since the release of Flying Colours, the 36-year-old rapper has used this time as a transitional point in his career, re-establishing what he needs, what he wants to say and more importantly, how he wants to tell it. For many people, change is something to be feared — it forces you to get out of your comfort zone and face your demons. For Shad, fear is a subject to be explored. "The main thing I'm exploring with this album is fear, and how much fear we walk around with and don't even notice. [There's] this question of how much of our fear is based on a real threat and how much is an illusion — that's kind've what I'm interested in," he tells Exclaim! "What I was trying to get at was these layers of conflict — societal conflict, conflict within ourselves — and also get at the root of violence in a lot of ways. I'm trying to define violence broadly, not just physical or military violence, but also economic violence, verbal violence, the way we socially exercise power." The approach to this album, much like the work itself, took five years to develop into something Shad calls more than an album, but the lens through which he sees the world. "It's funny, because this story popped into my mind five years ago, when I was finishing Flying Colours. It's just one of those things that stayed with me, and I didn't think that it would, but it has. I had this vision of this story, of this war and I saw all these characters, and immediately I understood what the story meant, what the setting meant, what the plot meant, what the characters represented. When I think about this album, it's not like any other project I've ever worked on — I think about it as the story that I want to make come alive in different ways," he explains. "This [album] is the opposite of what I wanted to make. I wanted to make an album that feels really good, because of how horrible the world was — I wanted to make a Bill Withers album. I made a lot of songs in that vein, very soulful and positive, but then I was also making these songs and this project was just calling me. It was just coming together in a way that felt inspired." As an album that "floats between a fictional world and our own world," A Story About a War offers a sense of duality through songs like "The Revolution / The Establishment" and "Peace / War," but also songs like "Another Year" that roots itself back into the everyday living of Toronto. And somewhere between diaper changes and interviews, it's a familiar world where fear is easier to escape from, which for Shad, sometimes involves music from "Informer" rapper Snow. 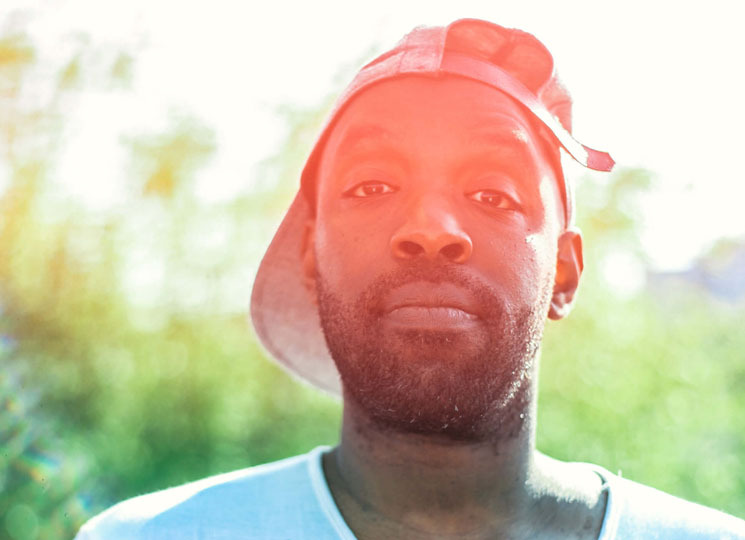 "'Girl I've Been Hurt' to me is, like, seriously dope, and 'Anything for You,' Shad offers. "I mean, 'Informer' is a banger, but it's not on a playlist, because I know I'll just hear it somewhere, I don't need to save that song. Snow's underrated," he laughs, referencing a line on "Another Year." With as many changes as his career has seen, Shad seems to walk with less fear and more perspective. "It's been a cool new season for me in my career since Flying Colours, trying to things, being a learner again and really just trying to make a contribution — try to help and try to grow. Your legacy is going to be judged in whatever way it'll be judged, and I'm open to that. I just want to help, that's it." A Short Story About a War comes out October 26 on Secret City Records.